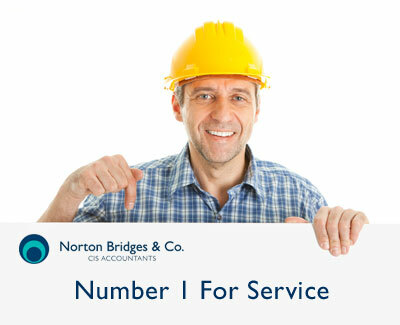 Norton Bridges & Co. Limited offers specialised tax services to those who work in the construction industry under the CIS tax scheme. Established for over 17 years, we have successfully assisted 1,000s of clients in obtaining tax refunds from HMRC. Operating from our offices in Stanmore, North West London, we provide an efficient and friendly service from our initial contact with you through to repayment of your overpaid taxes, where applicable. We offer a fixed fee service with no upfront fees or hidden costs. This means that you only pay when we have secured your refund from HMRC. This is done through our online facility which ensures a secure and speedy service. With our knowledge and expertise we are able to offer a turnkey service, preparation of accounts, completion of Self Assessment Returns and application for tax refunds. We have gained a highly regarded reputation within our profession, endorsed by our high retention of clients. This has been maintained by our personal approach to each and every client, an understanding of their situation and provision of a first class service, tailored to clients’ specific needs. With a continually changing and complex tax system, it is imperative now more than ever, to ensure your tax affairs are kept up to date. Under the new rules, penalties will be payable to HMRC, irrespective of whether you owe or have overpaid tax, should your Self Assessment Return not be filed on time. Not only do we serve local subcontractors but we cover operatives all over the UK. To accommodate the increasing pressures on sub contractors, we offer evening and Saturday appointments. Indeed, our offices are open every Saturday! If you would like to come in and discuss your tax affairs with one of our consultants, then please contact us here and we will contact you to book a date and time.